What a heatwave we’ve been having here in the UK over last few days! All of this sunshine has meant plenty of time outdoors enjoying Britain’s wonderful flora and fauna. Our most recent wanderings took us along roadside verges in search of Britain’s native orchids. Who would have thought that these verges would be one of the last refuges for many wildflowers? Orchids are a most beautiful group of plants. The flowers are so intricately evolved and display such diversity. Worldwide, the orchid family (Orchidaceae) is made up of approximately 28,000 species. This makes them one of the two largest families of flowering plants, along with the family Asteraceae. As a comparison, that is more than twice the number of bird species, and about four times the number of mammal species! 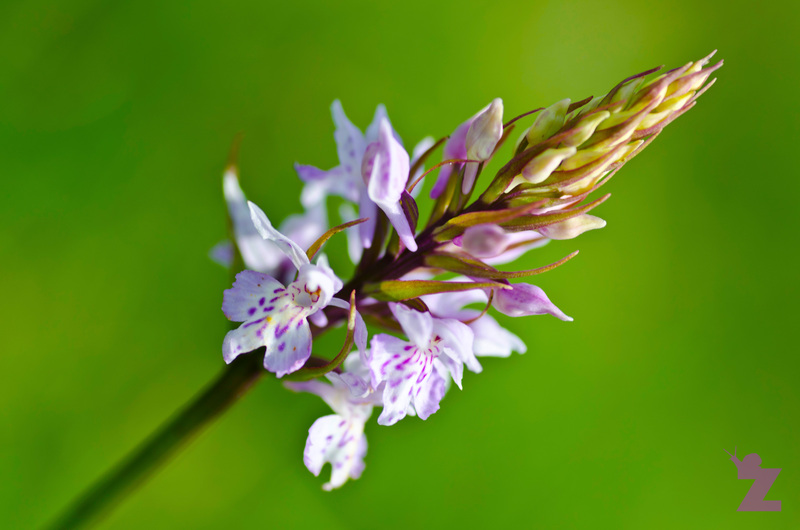 The United Kingdom, itself, has 56 native orchid species. Most of the world’s orchid species are epiphytes, meaning they grow on the limbs of trees. A smaller number are terrestrial, meaning they live their lives on the ground. Interestingly, all species of native orchids in the UK are terrestrial. All orchids are perennials, flowering each year usually at a specific time. For the British species, they always flower during the spring and summer. Whilst out on our orchid hunt, we came across many British orchids. We took all photos in this blog post from around the North Somerset area. If there are any orchid experts out there, feel free to hazard a guess as to what genus/species you think any of them are. 🙂 Below are our observations. 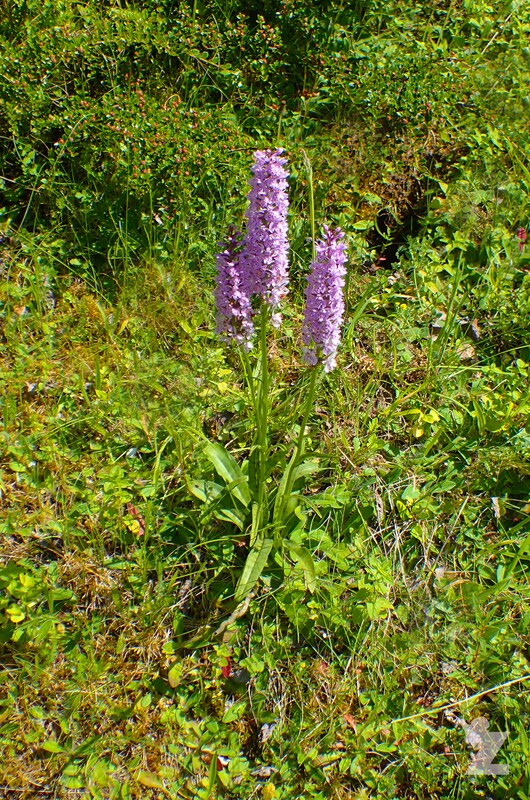 The following orchids we have identified as being part of the Dactylorhiza genus. 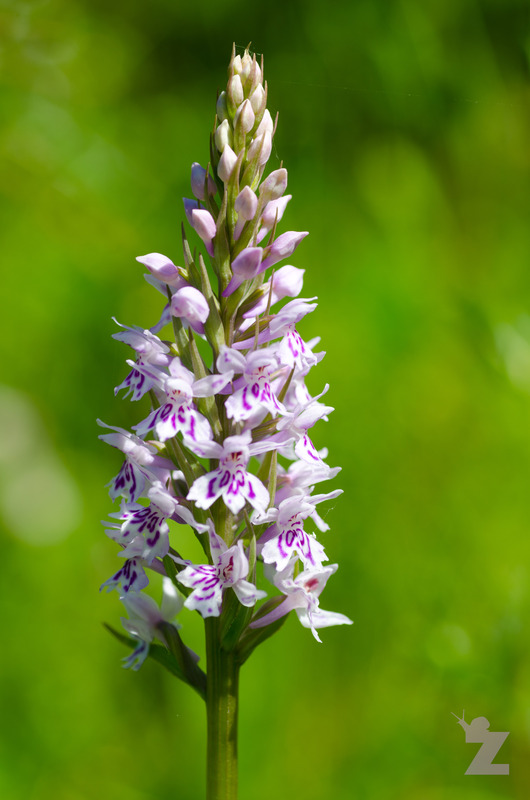 The name Dactylorhiza is derived from Greek words “daktylos” (finger) and “rhiza” (root) which refers to the hand-like tubers of plants in this genus. My favourite heading in the Beginner’s Vegetative Guide to Orchids of the British Isles (reference at the end of this post) is the one for this genus: “Dactylorhiza – The ‘Marsh’ and ‘Spotted’ Orchids – BEWARE.” Species in this genus are notoriously difficult to tell apart as many species hybridise so readily that species boundaries themselves are vague. Because of this, there are regular name changes and no clear answers as to what fits where. 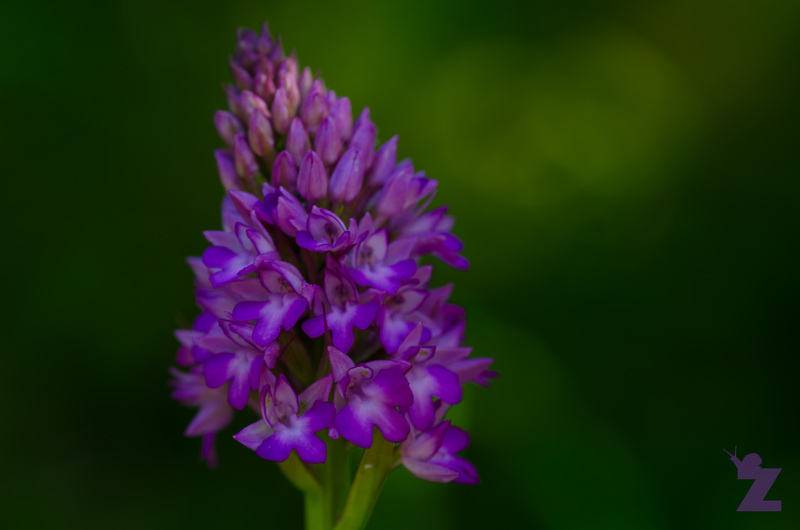 There are currently 8 accepted species of Dactylorhiza in the British Isles. There are few species of Dactylorhiza that colonise very well on fresh industrial wastes (such as pulverised fuel ash) where vast hybrid swarms can appear for a decade or more, before ecological succession replaces them. 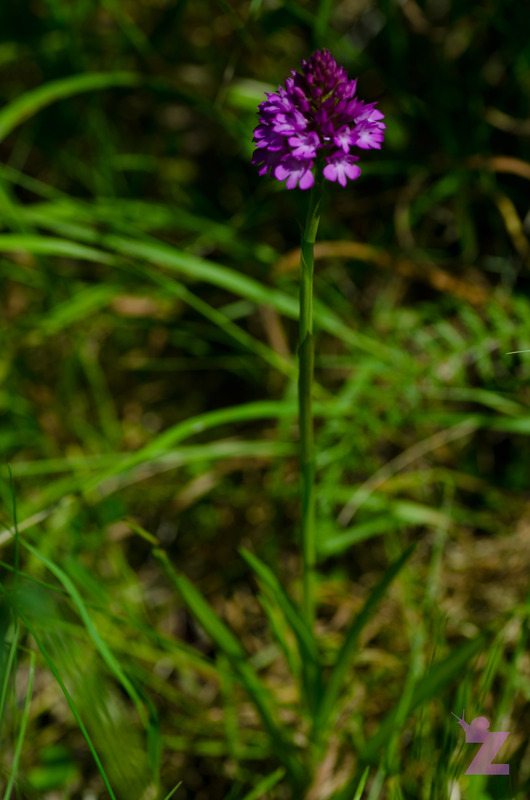 This lovely specimen we have identified as a pyramidal orchid. 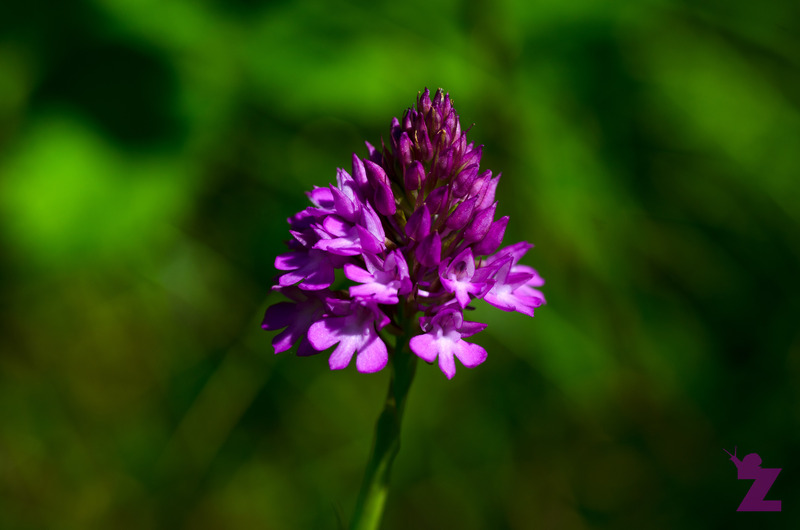 The pyramidal orchid is a lot easier to work out to species-level than species in the Dactylorhiza genus! 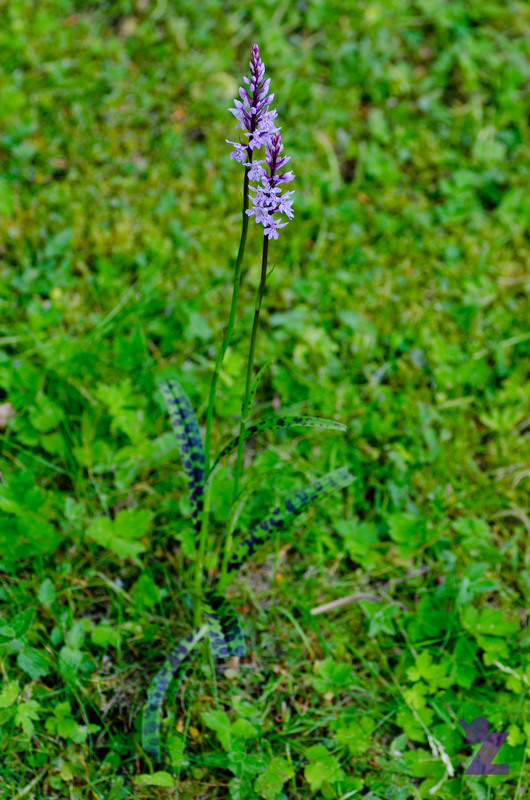 The scientific name, Anacamptis, derives from the Greek ‘anakamptein’ meaning ‘bend forward’, and the Latin species name, pyramidalis, refers to the pyramid-shaped inflorescence. The colour of the flower varies from pink to purple, and on the rare occasion, white. What threats do British orchids face? 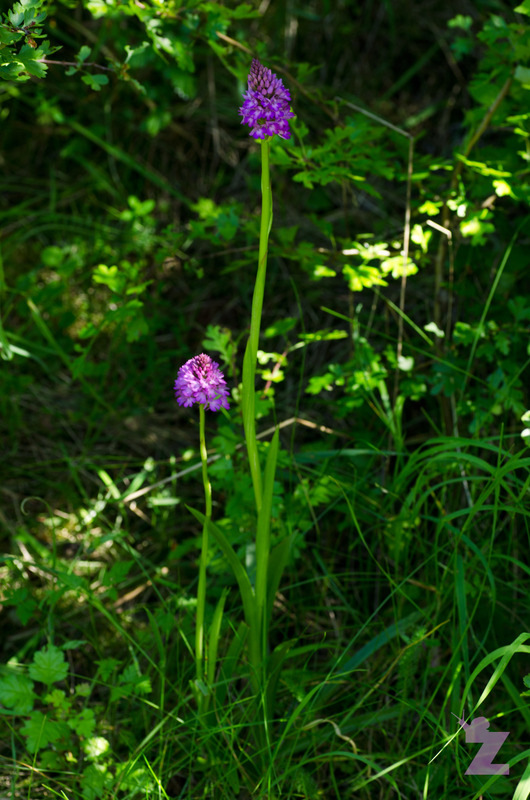 As the British Isles cover a wide latitudinal range, it is home to Mediterranean orchids all the way through to sub-arctic species. 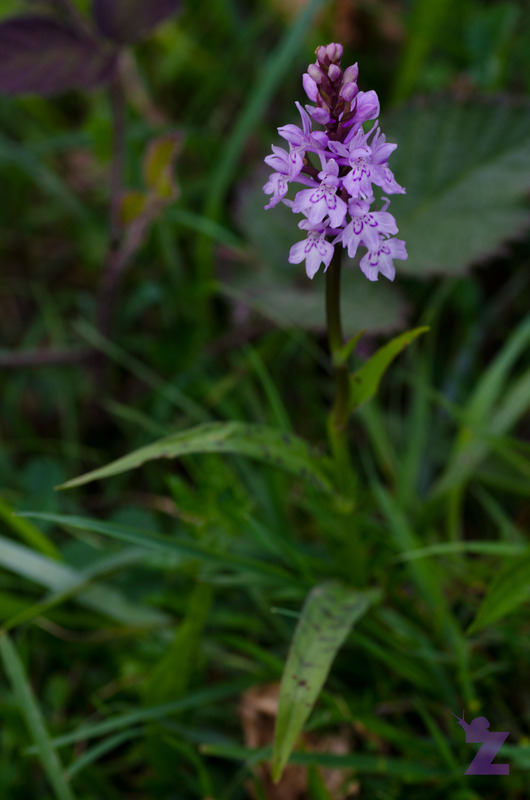 With such a range, most of the British orchids are highly specialised for their particular location and that location’s conditions, hence why many species are rare. The main threat to native orchids is loss of habitat, as is the case with many species that are in decline. Over the last century, this has mostly been due to agricultural intensification and the felling of ancient woodland. I visited my aunty’s house the other day, and all through her lawn were twigs poking out of the grass indicating that an orchid was present. It really made me smile – the perfectly mowed lawn with twenty or so ‘wild’ circles dotted all throughout. What a lovely example of making room for a few of our native friends. 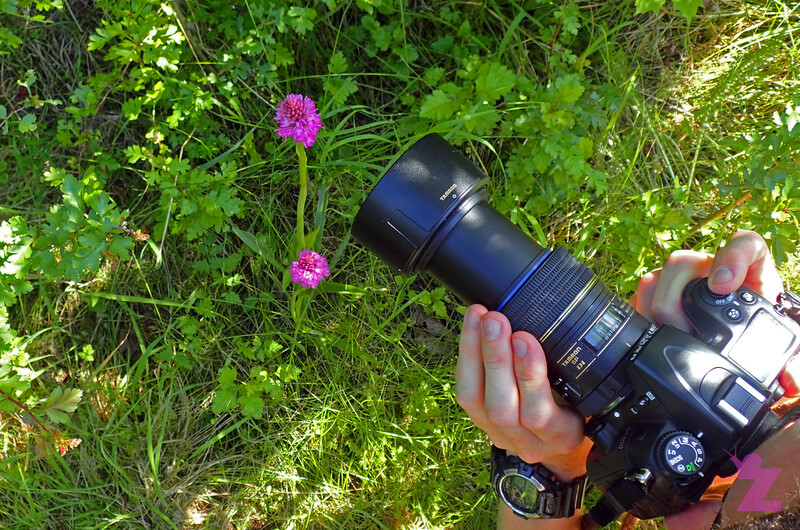 If you would like to read about one of our Antipodean orchid adventures, check out our blog post on New Zealand’s critically endangered greenhood orchid. We also hope to bring you more British orchid posts soon, so ‘follow’ us for updates! Next Post 1000 Views This Month – Thank You! I love the idea of gardens with orchid (and wildlife) friendly spaces, and possibilities for gardens to collectively supplement habitat as wilder or more natural areas continue to diminish. I like to be hopeful that small changes and contributions can add up to a significant network, as you say. Lots to learn and to share. Thanks for your lovely blog with great information and encouragement. Great to connect.